A very special CD for Christmas is presented by Flanders Recorder Quartet together with the young Belgian vocal ensemble Encantar and soprano Cecile Kempenaers: Christmas music from the Middle Ages and the Renaissance. Traditional melodies as well as Gregorian chant, consort songs, and chorales: this early Christmas music rediates a lot of character and color, cheerfulness and contemplation. The large recorders, practically a “living organ,” are the perfect partners for the singers. To be heard on this CD is the world’s largest recorder, a 3-meter-long sub-contrabass. 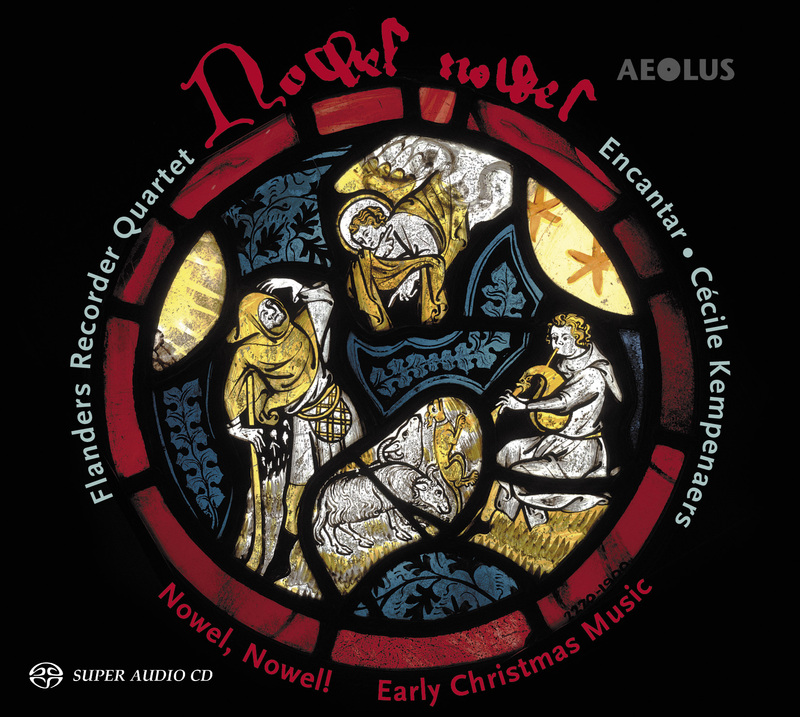 This is the Flanders Recorder Quartet’s fifth production for AEOLUS, and the CD debut of the four remarkable young singers of Encantar.